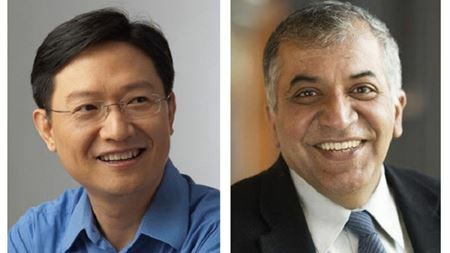 Live webinar - March 7th, 9 - 10 AM GMT – The nuts & bolts of Peer Review: a discussion by Biomaterials Editors Professors Pandit and Yu. Researchers have discovered a ceramic material that contracts on heating by more than twice the previous record-holding material. A new 3D printing method can produce materials with independently tunable macro-and microscale porosity using a ceramic foam ink. Researchers have built and trained machine learning algorithms that can accurately predict defect behavior in intermetallic compounds. Scientists have determined the mechanical properties of a sulfide-based solid electrolyte by poking it with a sharp probe. Inspired by natural adhesive materials, scientists have developed a synthetic version that can be controlled remotely using UV light. By coating a normal fabric with an electroactive material, researchers have produced ‘textile muscles’ that could be incorporated into clothes. Are we a step closer to 3D printed carbon nanotube composites? A new metamaterial can be easily manipulated to alter the stiffness of its surface by orders of magnitude, from rubber to steel. New synthesis mechanism transforms bulk metal alloys directly into nanowires. Using advanced imaging techniques, scientists have discovered cracking of cathode particles as lithium-ion batteries are charged and discharged. Scientists have developed a simple, inexpensive technique for producing oxide nanowires directly from bulk powders at ambient conditions.